Park City, Utah 2013 Year-End Review Shows Demand is Strong for Park City Real Estate Finishing 2013 with a total of 2,230 sales, the Park City area real estate market is up 22%.over 2012 and double the number of the market low in 2009 according to statistics released by the Park City Board of REALTORS® Multiple Listing Service. "We havent seen a jump that big since 2004-2005, which retrospectively could be considered a bubble market," says newly installed President Marcie Davis. With a total sales dollar volume reaching over $1.52 billion, dollar volume is up 22% as well. Property prices show a steady appreciation of 7% over last year and demand is strong for all property types selling in both the high and low price ranges. The current number of active listings-- including single family homes, condominiums and vacant landfor the entire market area is 1,981. That is a shocking 46% decrease from the high mark of 3,684 in July of 2008. In fact, the year-end review shows that the inventory level for each quarter of 2013 has been consistently lower when compared to the same quarter in previous years, with the month of April hitting an historic low of 1,965. "With fewer properties on the market, buyers may respond with greater urgency when they find something they like. This could contribute to the number of sales we have seen this year," says Davis. The absorption rate (the average number of months a listing remains on the market) for condos and single family homes in the Greater Park City Area averaged 7.4 months  though time on market varies widely by property type and neighborhood. Single family homes in Silver Springs, for instance, averaged only 1.45 months on the market and Summit Park averaged 2.07 months showing that our market is highly segmented. sales price is also up 14% reaching $912,500. Park Meadows is up 8% in the number of sales compared to 2012 with a nice median price increase of 22% reaching $1,317,500. In the Snyderville Basin area, sales were up 12% with a median price increase of 9%. Silver Springs leaped 76% in the number of sales compared to 2012 and the median sales price increased 12% to $697,500. By neighborhood, Jeremy Ranch saw the highest number of sales in 2013 reaching 73thats 26% over 2012. The median sales price also increased by 9% to $725,000. Trailside Park is up in the number of sales compared to 2012 by 53% with a 15% median price increase to $520,000. Jordanelle is flat in the number of sales compared to last year and actually saw a 12% decrease in price to $660,000. The number of sales was up in both the Heber and Kamas Valleys with slight median price increases as well. Condominium- Within the Park City Limits sales were steady, though the median sales price was flat. Old Town saw the highest median price increase by neighborhood up 17% to $380,000, and although there were 39% fewer active listings in Old Town compared to the same time last year, the number of sales climbed 45%. In the Snyderville Basin, condos came up in median price reaching $326,250 which is 17% over 2012. Closed sales were up over last year by 11%. The Kimball area had the highest number of sales at 73 and a median sales price of $220,000. Pinebrook is another area of interest with a 33% increase in the quantity sold and a healthy 19% price increase to $322,500. Vacant Land- With new construction picking up this year, vacant land sales were strong for the entire Park City market area, though median sales prices took an 11% dip. Within the Park City Limits though, the median sales price was up 15% reaching $555,000 while increasing 9% in the number of sales. Snyderville Basin, on the other hand, jumped 40% in the number of sales to 160 with a flat median price of $274,500. The Jordanelle area had the highest spike in the number of lot sales, up 105% to last years number with a median sales price of $145,000. In the Heber Valley the number of sales climbed 60% with a median sales price of $175,000. The Kamas Valley experienced a substantial price increase of 70% to $90,000 also up 33% in the number of sales. "With reduced inventory and increased sales in Summit County, buyers naturally branch out for better prices. Wasatch County saw a lot of activity in 2013," says Marcie Davis. was only 2% below market transactions, illustrates that as the number of distressed properties decline, the difference in sales price narrows. The Park City area market showed strong activity throughout 2013 with an increase month over month compared to the previous year except for December. Pricing in the Greater Park City Area also increased 7% over 2012. "With demand for Park City real estate remaining robust, distressed sales greatly reduced and inventory at record low levels, 2014 is poised to be another positive year for real estate," says Rick Klein. Because individual neighborhoods vary drastically in number of listings and sales, pricing and inventory, home buyers and sellers are strongly encouraged to consult a local Park City REALTOR® for the most current and accurate information on what is happening in your specific neighborhood. Posted in Press Release | 0 Responses to "2013 4th Quarter Statistics"
The current number of active listings on the Park City Multiple Listing Service is 2,199, down a little over 3% from last quarter. In just the Greater Park City Area(Park City, Snyderville Basin and Jordanelle) there are only 1,160 active listings. This is a new record low! The absorption rate (the average time a listing remains on the market) for single family homes and condominiums remains steadily low at 5.7 months. Including lots, the number is 7.4 monthswhich is also an all-time low. This is a striking number compared to the average of almost 60 months in April of 2009, according to numbers compiled by Rick J. Klein, Wells Fargo Private Mortgage Banker. The number of closed sales through Q3 2013 is 1,621: That is 26% higher than this time last year. In fact, the third quarter shows the highest number of sales in one quarter since 2007. Dollar volume is also substantially higher than any quarter since 2007. The number of sales of single family homes within the City limits increased 22% over last year, and the median price of homes increased by 26% to $1,295,000. In the Snyderville Basin, the number of sales is up 17% over last year with a 12% increase in median price to $707,750. Jordanelle Area is up 6% in number of sales but it is down 17% in median price to $643,500. Comparatively, the Heber Valley has climbed 19% in the number of sales and produced a 35% increase in median price! The number of condominium sales to date is up 20% with a median sales price increase of 12% to $373,300. The Jordanelle area saw the highest jump in year-to-date sales with a 74% increase and median price increase of 11% to $349,000. Within the Park City Limits, condo sales jumped 20% over last year; however, median sales price only increased 1%. In the Snyderville Basin, the number of sales only increased by 3% but the median sales price went up 13% to $321,497. By area, Old Town had the highest increase in the quantity of sold units jumping 57% over last yearwith an 18% price increase as well. Park Meadows saw a 38% increase in number of sold units, but dipped in price by 1%. In the Snyderville Basin area, Silver Springs increased over last year in both number of units sold by 75% and median price by 26% reaching $356,700. Pinebrook jumped 25% in the number of sales and the median price rose 14% to $315,000. Vacant land saw the biggest increases in number of sales over last year with a 56% hike, though the median price fell 3% overall. Vacant land in the Park City Limits had the highest median price increase of 33% reaching $625,000. Jordanelle area saw a whopping 116% increase in the number of sales over last years number. The Snyderville Basin saw a 41% increase in sales, though the median price is flat compared to last year remaining at $300,000. Highlights by area include Lower Deer Valley, Deer Crest, Pinebrook and Jeremy Ranch which all saw a significant increase in the number sales. With the increase in the number of sales, median prices slowly on the rise, active listings at a record low, and an absorption rate of only 5.7 months (for homes and condos), our market appears strong and stable. Already this year, there has been over $1.1 billion in closed sales, a number that was difficult to reach by years end only a short couple of years ago, says Mark Seltenrich, Statistician for the Park City Board of REALTORS®. Posted in Press Release | 0 Responses to "2013 3rd Quarter Statistics"
The inventory level of all property types has come up slightly from Q1 of 2013, but it is still 9% less than it was in 2012. The current inventory of active listings in the greater Park City area is 2,173, compared to 2,400 units a year ago. Though the current number is almost a 10% increase from the low point in April, it is still a whopping 41% below the high mark of 3,600+ in July of 2008. Foreclosures continue to become a less significant part of our market as the number of foreclosed properties continues its five quarter downward trend. Distressed properties (foreclosures and short sales) made up only 5% of all sold properties in quarter two of 2013, compared to 17% of all sales in 2012 and about 33% in 2011. At mid-year, for the Greater Park City market area, the median sales price of homes is up 10% over last year. We experienced a 16% year to date increase in the number of sales of single family homes in the Park City Limits. Within the Park City Limits, 2nd quarter median price for a single family home is $1,245,000, reflecting a 12% rise in sales price. In the Snyderville Basin, the number of sales is flat compared to last year, but the median sale price is up 10% over last years number reaching $699,000. This quarters numbers illustrate that neighborhoods vary drastically in activity. The Silver Springs area saw a striking 178% increase in the quantity of homes sold over the same time period last year, while the median sale price increased 6%. The Old Ranch Road area jumped in median sales price by 62%, climbing to $3,221,875 but experienced a 20% dip in number of sales. At mid-year, for the Greater Park City market area, the median sales price of condominiums is up 6%, and the number of sales is up 12% over last year. For the second quarter, the number of sales in the Snyderville Basin Area is up 6% compared to 2012 and saw a jump in median sales price of 21%, reaching a median price of $320,000. The Jordanelle Area has seen a solid 52% increase in the number of units sold, as well as, an 8% increase in median sales price, to $334,128. At mid-year, for the Greater Park City area, the median sales price of vacant land is down 20% from last year. Both the Snyderville Basin and Jordanelle Areas saw increases in sales but decreases in price compared to last year. The median price for vacant land in the Snyderville Basin Area fell 23% to $267,000, and the Jordanelle Area fell 15% to $118,750. However, vacant land sales climbed 39% in the Snyderville Basin and spiked upward 138% in the Jordanelle Area compared to 2012! In the Park City Limits, vacant land sales followed the same trend as single family homes with an increase in the number of sales of 26% compared to the same time period last year and a moderate increase in median price of 12%, reaching $525,000. Posted in Press Release | 0 Responses to "2013 2nd Quarter Statistics"
The current inventory of active listings in the greater Park City area is lower than it has been since 2006. As of April 1st, there has been a 21% decrease in listings since April 1st of 2012. The current number of listings is down 47% since the high mark in August of 2009. Foreclosures have become a less significant part of our market. Distressed properties (foreclosures and short sales) now make up only three percent of active listings and accounted for only 13% of sold properties in Q1-- down from 23% in Q1 of 2012. The number of sales for single family homes in all areas in Q1 increased 18% compared to Q1 of 2012, and the median sales price rose 30% to $619,500. The median price for single family homes in the Snyderville Basin and Jordanelle area was up 28% from Q1 of last year, reaching $634,500, though down slightly from the year-end 2012 figure of $649,000. The median price of a home within the city limits for the first quarter was $1,312,500, up 12% from the first quarter of 2012 and up 22% from the year-end 2012 figure. Overall, condominium sales decreased 3% from Q1 of 2012; however, the number of sales inside the city limits was up 21%. The median sales price within the Park City limits was $639,000, which is down 18% from the first quarter of 2012though well above the 2012 year-end figure of $522,500. While the number of sales in the Snyderville Basin and Jordanelle area was down 23% compared to the first quarter of 2012, the median price for a condo was $334,128, which is up 22% over the first quarter of 2012 and up 8% over the year end 2012 figure. Vacant land sales increased 45% in the first quarter of 2013 with 74 transactions compared to 51 transactions in 2012. Lot sales increased in both the city limits, up six sales (75%), and in the Snyderville Basin and Jordanelle areas, up 19 sales (73%). The median price of a vacant lot, for all areas, fell 9% in the first quarter of 2013, dropping to $182,150 from $200,000 in 2012. Lot prices within the city limits climbed 10% from $468,000 in 2012 to $514,500 in 2013. Median lot prices in the Snyderville Basin and Jordanelle areas dropped from $237,000 in 2012 to $180,000 in 2013, a 24% decrease. These lower prices will not be sustained and prices through the rest of the year should rise as there are far fewer lower priced lots on the market. Prices overall, although higher, are still a great value, Seltenrich said. Buyer activity continues to be strong, and historically sales in the first quarter of the year are slower than the remainder of the year. This means that competition for certain properties, especially single family homes under $500,000, will be harder to find. Though, with interest rates remaining historically low, todays buyer has 43% more purchasing power than they did in 2006, as reported by Rick Klein of Wells Fargo Home Mortgage. Posted in Press Release | 0 Responses to "2013 1st Quarter Statistics"
Park City, Utah -- The year-end 2012 statistical report released by the Park City Board of REALTORS® indicates an increase in the number of sales and total dollar volume, with inventory the lowest it has been in over six years. It also shows a slight gain in median prices compared to 2011. The total volume of real estate sold for the entire market area (Summit and Wasatch Counties) reached $1,240,542,783 in 2012  a 15% increase over 2011. The number of sales continued to climb in 2012 with a nine percent increase over 2011 in all property types combined, reaching 1,817 total transactions. This is up 61% over the low point in 2009. The number of sales now surpasses the early 2000s and is approaching the number of sales necessary to be termed a more balanced market. Sales for the year were very strong after the first quarter of 2012. Each of the last three quarters averaged over 150 sales more than the first quarter. Quarter Four is up 28% compared to the fourth quarter of 2011. With only 1,879 active listings on the market for 2012 compared to 2,146 in 2011, the inventory level has decreased by 12%. The greater Park City market has consistently seen double digit yearly decreases in the number of properties for sale since the high point of listings on the market in 2009. Based on an average of the past three months sales, this inventory represents about a 10 month supply -- excluding the lots, it is at an eight month supply for houses and condominiums. This is the lowest housing supply since the Park City Board of REALTORS® began systematically tracking the monthly active/pended listings in January of 2007. The median price, for all property types combined (single family houses, condos, vacant lots and fractional interest properties), has rebounded nicely in 2012 reaching $395,000, which is a 13% increase over last year, though this number is still below the median prices of 2010 and 2009. Median single family home prices continued to rise in most areas and had a five percent increase overall reaching $548,107. The median price for condos also increased seven percent to a median price of $343,000 for the entire market area. Vacant lots had the best performance in 2012 with a 22% increase over 2011 reaching $213,750. Within the Park City Limits area, median single family home prices show an eight percent increase over last year reaching $1,077,500. Condos are down three percent to $522,500 and vacant land is down two percent at $475,000. In contrast, within the Snyderville Basin and Jordanelle areas, the median price for a single family home is down five percent to $649,000, while condos are up 14% to $308,543, and vacant lots are up 51% to $249,500 over 2011. Significantly, even with an increase in the median lot price, the number of sales in 2012 was the same as in 2011, showing that though lots have gone up in price, the number of sales has not decreased. The number of distressed properties on the market has continued to drop through 2012 and the number of Notices of Default has decreased compared to previous years. Interestingly, the prices of distressed properties that come on the market are listed very close to market price or sometimes even above market. For the fourth quarter in Summit County, distressed sales accounted for only 13% of total sales which is down 31% from the fourth quarter in 2011, according to data compiled by Rick Klein of Wells Fargo Private Mortgage. Prices in our market have generally been falling for four straight years, with many parts of our market 40-50% below where prices were at the peak. However the downward pressure on prices now seems to be over. Seltenrich cautions that Price increases need to be justified by a proper evaluation of the propertys attributes, and just like the market of the past several years, a property needs to be properly priced in order to sell. An overpriced property will continue to sit on the market. With inventory levels in decline, there arent as many choices as in the past. 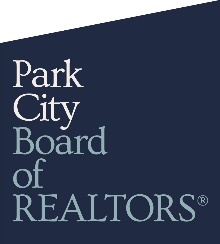 The Park City Board of REALTORS® (PCBR) is a trade association of over 900 members comprised of REALTORS® and Affiliates from the greater Park City real estate industry. PCBR analyzes and reports on real estate trends for the greater resort community of Park City..
Posted in Press Release | 0 Responses to "2012 4th Quarter Statistics"